Rear of 694 E. 48th St.
Raymundo Barajas, a 37-year-old Latino male, died Wednesday, Oct. 24, after being shot in South Park, according to Los Angeles County coroner's records. Luis Moreno Villa, a 61-year-old Latino male, died Friday, Sept. 14, after sustaining blunt force trauma in South Park, according to Los Angeles County coroner's records. James Darrell Dunn, a 48-year-old black male, died Sunday, June 3, after being shot in South Park, according to Los Angeles County coroner's records. Jose Chavez, a 25-year-old Latino male, died Sunday, May 6, in South Park, according to Los Angeles County coroner's records. Juan Ortiz, a 18-year-old Latino male, died Monday, March 5, after being shot in South Park, according to Los Angeles County coroner's records. 118 1/2 E. 54th St.
Robert Jermaine Harris, a 16-year-old black male, died Monday, Dec. 11, after being shot in South Park, according to Los Angeles County coroner's records. Hector Martin, a 31-year-old Latino male, died Sunday, Nov. 5, after being shot in South Park, according to Los Angeles County coroner's records. Jose Luis Cruz Jr., a 18-year-old Latino male, died Friday, Oct. 20, after being shot in South Park, according to Los Angeles County coroner's records. 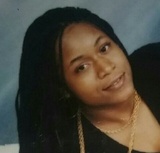 Jonette Michelle Robinson, a 31-year-old black female, died Saturday, Sept. 9, after being shot in South Park, according to Los Angeles County coroner's records. Devonte Darnell Zeno, a 24-year-old black man, was shot and killed Saturday, April 22, in the 300 block of West 50th Street in South Park, according to Los Angeles County coroner’s records. About 5:50 p.m., Zeno and another person were walking when they were shot, Los Angeles Police Det. Dan Gersna said. Police think there was a confrontation involving at least one other person before the shooting. Zeno was taken to a hospital, where he was pronounced dead at 7:11 p.m., according to coroner’s records. The other pedestrian also was taken to a hospital, but is expected to recover, officials said. Gersna declined to release any suspect information but said no arrests have been made. Anyone with information is asked to call Newton Division detectives at (323) 846-6556. Those who wish to remain anonymous can call Crime Stoppers at (800) 222-8477. Jimmy Bustamante, a 26-year-old Latino, was shot and killed Friday, April 7, in the 5100 block of Woodlawn Avenue in South Park, according to Los Angeles County coroner’s records. About 4:30 p.m., Bustamante got into an argument with another person in the street, Los Angeles Police Det. Dan Gersna said. Bustamante got into a small SUV and drove away, then turned around, Gersna said. As Bustamante was driving north on Woodlawn Avenue, he was struck by gunfire. His vehicle crashed into another before coming to a stop. Bustamante was taken to a hospital, where he was pronounced dead at 6:27 p.m., according to coroner’s records. No one else was injured in the gunfire or crash. Anyone with information is asked to call Newton detectives at (323) 846-6556. Those who wish to remain anonymous can call Crime Stoppers at (800) 222-8477. Raul Alexander Sanchez, a 26-year-old Latino, was shot and killed Thursday, Oct. 6, in the 700 block of East 46th Street in South Park, according to Los Angeles County coroner’s records. About 10:15 a.m., Sanchez was on a sidewalk off East 46th Street when people approached in a vehicle and began shooting, said Los Angeles Police Det. Dan Gersna. Gersna declined to say whether Sanchez was alone, or if the suspect or suspects got out of the vehicle. Sanchez was taken to a hospital where he was pronounced dead at 10:47 a.m., according to coroner’s records. Gersna declined to give a vehicle description. Anyone with information is asked to call Newton homicide at (323) 846-6556. Those who wish to remain anonymous can call Crime Stoppers at (800) 222-8477. Carlos Rubio, an 18-year-old Latino, was shot to death Friday, Sept. 30, in the 500 block of East 49th Street in South Park, according to Los Angeles County coroner’s records. About 2 a.m., Rubio was walking west on East 49th Street when people approached in a vehicle and fired at him, said Los Angeles Police Det. Dan Gersna. Gersna declined to say whether Rubio was with another person and would not release a vehicle description. Rubio was pronounced dead at the scene at 2:15 a.m., according to coroner’s records. Anyone with information is asked to call LAPD Newton Division detectives at (323) 846-6556. Those who wish to remain anonymous can call Crime Stoppers at (800) 222-8477. Andres Guzman, a 22-year-old Latino male, died Saturday, Aug. 13, after being shot in South Park, according to Los Angeles County coroner's records.